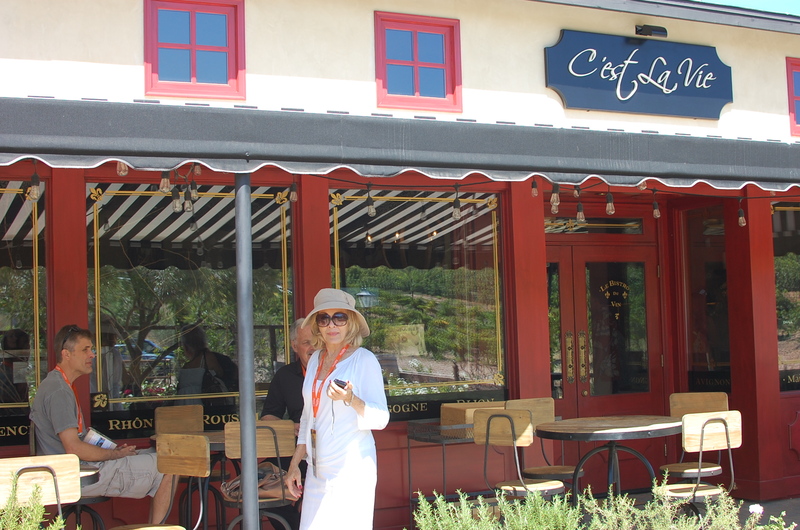 Visit the ambience of Spain, France and Italy while sipping wines at Temecula’s Europa Village. Opened 3 ½ months ago, they put a lot of money into their charming temporary tasting facility. It’s a picturesque location for sipping wine as visitors step inside the front garden filled with iceberg roses and olive trees overlooking acres of grapes. This is a winery that attracts a lot of groups. There was a birthday girl with 20 enthusiastic friends. They exited a limo and stepped into the Italian wine cave for a private tasting tour. Inside the Vienza tasting room, the celebratory group sipped reds from unique glasses that offer a place for their thumb and index finger. While tilting their heads back, they smiled and giggled as they captured the luscious aroma and flavor. The Spanish design breezeway gives visitors a peek at what the architecture will look like at the Bolero Cellars. It leads visitors into the C’est La Vie Wine Chateau, that is very French in décor and offers some divine wines. Europa Village recently acquired a bed & breakfast with ten bedrooms. The home is Old World in décor and character. 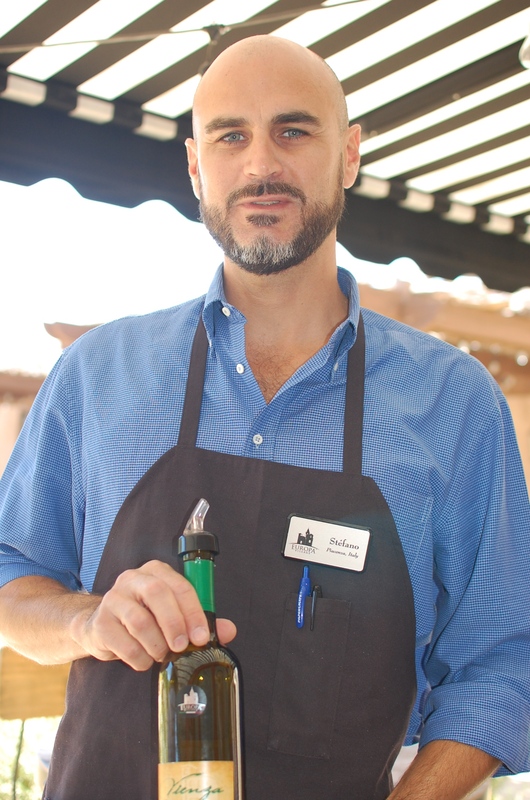 The former chef of the award-winning South Coast Winery and Spa prepares breakfast for guests. We sipped their wonderful summer 2009 Pinot Grigio wine. It offered hints of white peach and lemon cream. Next the 2009 Chardonnay is a Chablis-style shortly aged in Oak barrels. Our last taste was a 2007 blood-red Tempranillo with a spicy blend and notes of vanilla. The wonderful glasses are available at $12 a glass or a set of 4 for $48. Europa Village – 33475 La Serena Way, Temecula (888)EV.Europa.